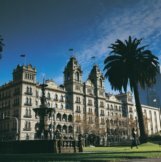 Melbourne is the capital city of Victoria – a great place to start! Melbourne was my home town for many years and it is where I started my Nursing career at Prince Henry Hospital, right on St Kilda Road a short walk to Flinders Street Station. Don’t bother looking for it now, the wheels of progress necessitated the demolishing of the old hospital to make way for modern apartment complexes. 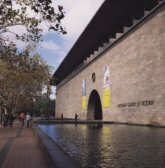 The historical entrance however was maintained and exists as the entrance to a modern building on St Kilda Road now, why not see if you can find which one! One of the things I love about Melbourne is the stunning old buildings. 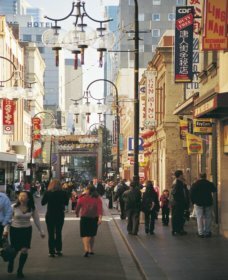 Many of the shopping arcades in Melbourne are formed around historical buildings. For example Royal Arcade, which contains some fascinating boutique stores, but the arcade itself is worth a visit just for the architecture. There is also Cathedral Arcade and the old Post Office building GPO, also worth a visit. The amazing Princess and Regent Theatres host some fantastic live entertainment but the historical buildings themselves are worthy of accolades just on their own. 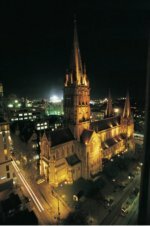 Also two of my favourite places to visit are St Pauls and St Patricks Cathedrals. Such history and tradition it makes you get goose bumps just going into these beautiful old churches. Other must sees are the State Library, Parliament House and the Shrine of Remembrance. 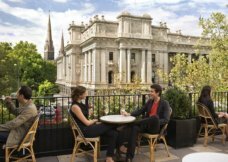 All of this sightseeing can be topped off with High Tea at the amazing old Windsor Hotel. Shopping and Dining experiences in abundance! Melbourne city itself has an abundance of great shopping and fine food venues, some of the best in the country dare I say! But there are some specific spots worthy of note. 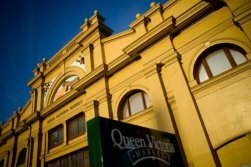 A must visit is Queen Victoria Markets - they have to be seen to be believed. 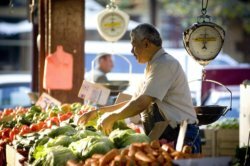 You can get anything from fresh fish, and other fresh produce, to the perfect pair of shoes! 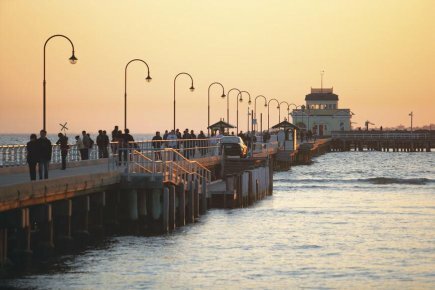 St Kilda’s Acland Street and Fitzroy street are fabulous spots for coffee and cake, you can then walk them off down on St Kilda foreshore! Of course best not to eat before riding the roller coasters at Luna Park which is on the St Kilda foreshore too! 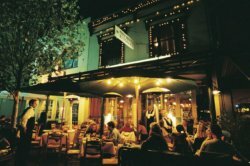 Lygon Street, Carlton is unsurpassed in splendiferous Italian food! 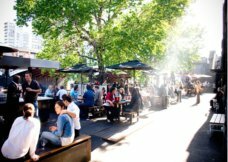 Since I can remember Lygon Street has been a hubbub of diners looking to experience the superb food that can be found along this street of gastronomical heaven! Lonsdale Street has long been the place you could get great Greek gourmet! Many a late night kebab or souvlaki has been had here! I love the new Docklands and New Quay precincts they are full of interesting and diverse cafes and bars, great for a night out on the town! Federation Square has some very interesting concept cafes and relaxed eating venues and the square itself is full of many interesting attractionsand a great place to watch the spectacular New Years Eve fireworks.. And of course China Town speaks for itself! 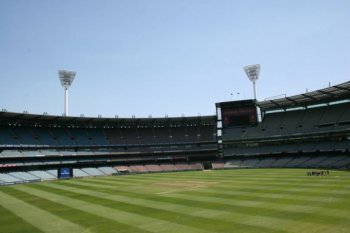 A visit to Melbourne would not be complete without a visit to Melbourne Cricket Ground- the famous MCG, or the Gee to locals. If you are not into watching sports a visit to the centre there is well worth a visit. But I highly recommend going to a game of Australian Rules Football –AFL- watching the game with a big crowd – the Gee holds around 100,000 people at capacity- is an experience I cannot explain. Of course you could also go to a game at the new Ethiad Stadium in Docklands and then walk to Docklands or New Quay for supper after a night game. Almost nothing beats Rod Laver Arena in January when the Australian Open Tennis Tournament is in full flight (a great game of AFL at the Gee maybe)! People are out in full force either inside the arena at the matches or relaxing out the front on the grass watching a match on the big screen. Either way the excitement in the air in incredible! Of course the most famous horse race in the country is the Melbourne Cup – the race that stops the Nation! 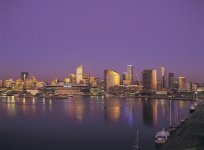 Held on the first Tuesday in November the city comes alive with colour when the Spring Carnival takes over the city! In March Albert Park lake sights and sounds dramatically change from the gentle sound of water lapping at the lakes edges and the call of ducks- to the loud roar of Formula One racing! 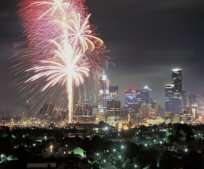 The Formula One is held here in March every year and makes for a great weekend if you can get there. A special place in my heart lies with the Melbourne Zoo. I went there as a child and I followed tradition and took my children there too. It is a great day out young or old, my favourite exhibition is always the butterfly enclosure. 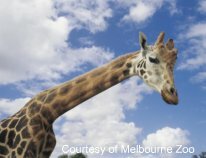 Don’t forget to visit the Werribee Open Range Zoo- it really is wild! A space on your bust sightseeing tour must be made for a visit to the Eureka Tower. The tallest building in Melbourne's city precinct, it has an observation deck right up top where the views of Melbourne are unsurpassed. If you are game the special attraction is a retracting glass cube that juts out over the city and gives you the illusion of standing in mid air- it is truly eerie! And finally to unwind after all this busy sightseeing at the National Gallery of Victoria, browsing through the wondrous collections of Art.